Killing Floor is a PC game you may or may not have heard of developed by the small developer Tripwire Interactive; winner of the 2004 "Make Something Unreal" competition with "Red Orchestra". Killing Floor, like Red Orchestra, is a total conversion mod using the Unreal Engine 2.5 with a focus on teamwork and cooperation. The game can be purchased on steam for £15 normally but is very often on sale for less than £5. In the 3 years since its release, and even in the 1 year since I bought the game, many updates map/weapon/perk additions have been released completely for free usually around the time of a holiday or celebration such as Christmas or summer very much akin to the frequent Team Fortress 2 updates. 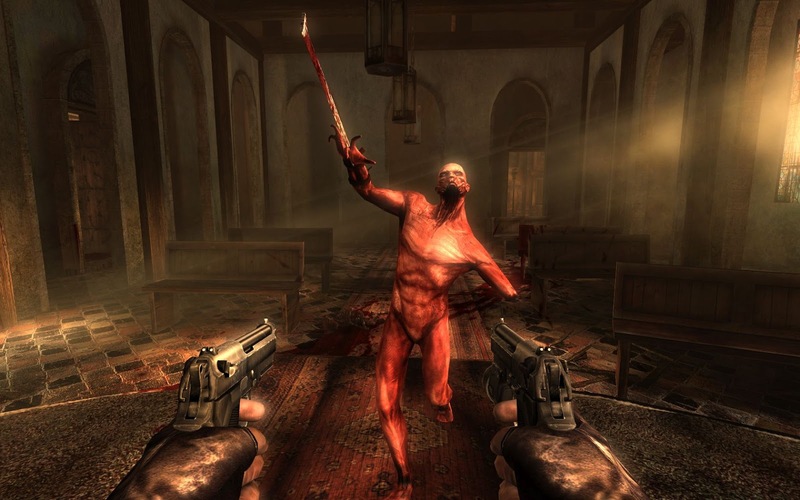 The game has only one game mode which involves teaming up with up to five other people and shooting, stabbing, and burning various zombie like creatures called "Specimens". These specimens appear in increasingly difficult waves with small and weak specimens like the "Clot" appearing in the first few waves and bigger and nastier specimens like the "Flesh Pound" (shown to the left) appearing in later waves. The final wave of the game involves facing off against a very difficult boss enemy called the "Patriarch"; a monstrous creature with a chain gun, rocket launcher, and claw that bursts out of his chest, not nice. Dying during a wave means you are dead until the end of the wave, you cannot be revived once down. This difficulty curve through the match scales with the improving guns and weapons you are able to buy in between waves from the constantly moving trader. Money can be gained from killing zombies or healing teammates and can also be shared between teammates meaning newer players won't lag behind and people joining the game mid way through won't end up having the worst equipment against tough specimens. 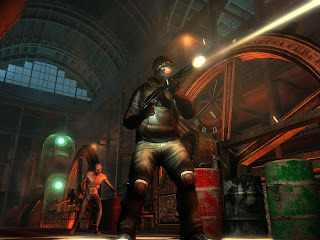 Every player also picks a perk of which there are seven: Support Specialist (effective with shotguns and welding doors), Sharpshooter (does extra head-shot damage and uses long range weaponry), Commando (uses automatic weapons and is useful for killing large swarms of smaller specimens), Berserker (uses melee weapons and has extra speed and damage resistance), Firebug (uses guns that set specimens on fire), Field Medic (gets more effective healing) and Demolition (uses explosives to blow large groups of specimens apart). 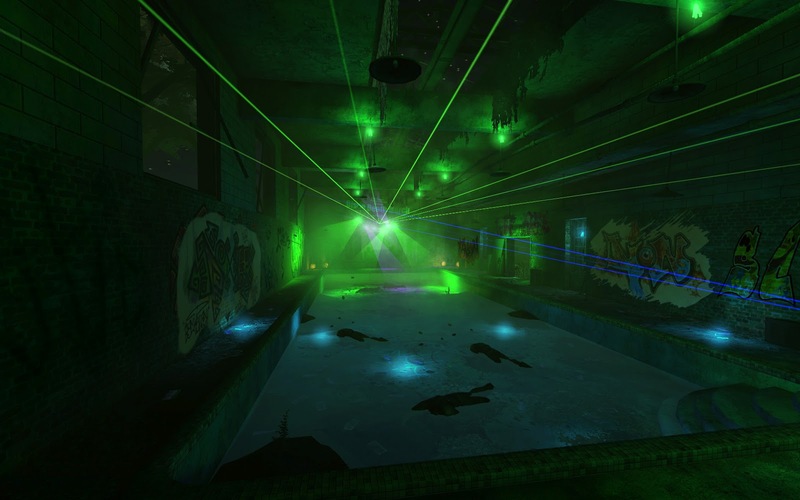 Each of the seven perks involves quite a different play-style and teams will normally need a good mix of each with people even possibly swapping perks mid game to survive. The perks do not force you to use certain equipment but instead give you bonuses to damage on them and discounts on buying them from the trader. The perks also level up as you play going from 0 to 6 leading to bigger damage bonuses and bigger discounts per level. This means that the higher difficulty settings require you not only to be skillful but also have higher levels in the perks with "Hard" and "Suicidal" difficulties being basically impossible on levels 3 or below (and "Hell on Earth" being just impossible). This means new players need to be careful when searching for severs or playing alone as they may be put off by punishing difficulty. In fact this is one aspect of the game I have an issue with; it is not particularly easy to get into with a pretty steep learning curve that players may not enjoy. For this reason I recommend new players either play on solo for a bit (a perfectly viable option since the number of specimens spawning depends on the number of players in the game) or play the game with some friends to learn with. 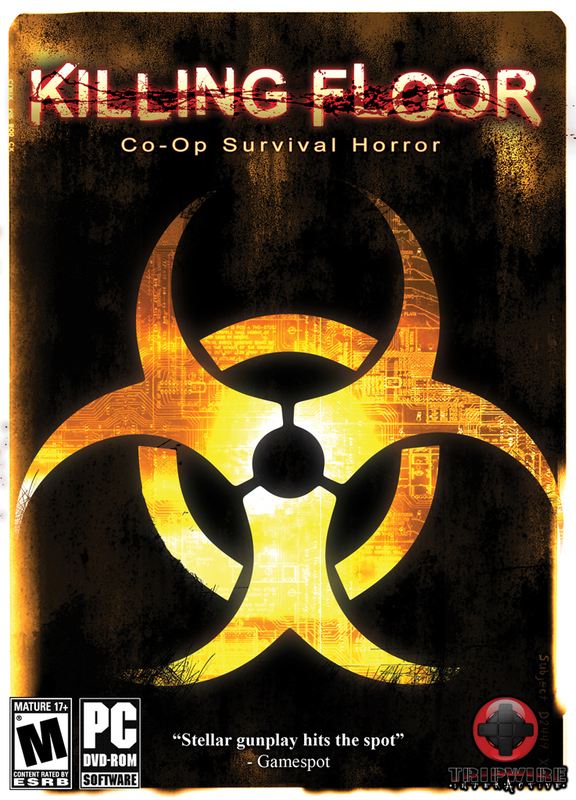 Other than the initial difficulty the gameplay is an absolute blast, the various perks are all fun to play as and require a long time to master both in terms of skill and perk level (I have played the game for nearly 100 hours and I still haven't got any perks above level 4) meaning you'll be coming back to play for hours and hours. As I mentioned before they are also very varied so you can have a different experience just by switching perks. All of the guns and melee weapons feel very satisfying; they have a real weight to them and feel very powerful especially after you level up your perks. Every so often during a wave the "Zed-time" will be activated; a short period of slow motion that everyone in the game receives allowing people to line up a shot or get a good view of the field. Sometimes however this can be annoying if you are reloading or healing so you just watch yourself reload really slowly but mostly it feels cool and is very useful. 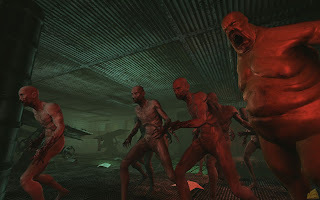 Killing floor is a very challenging game and requires you to really work as a team to succeed, particularly when facing the patriarch, and the game demands not only your skill at aiming and dodging attacks but also strategy in welding certain doors to funnel the specimens to certain areas, placing pipe bombs in tactical locations to deal severe damage etc. The variety of specimens with their various advantages and disadvantages against the various perks and weapons will mean you are constantly learning more effective ways of killing enemies and avoiding death. Note: trailer does not incorporate the new updated content. The premise of the game is pretty simple: a biotech cooperation was experimenting on "Specimens" and these specimens have escaped and are running rampant around the streets of London. 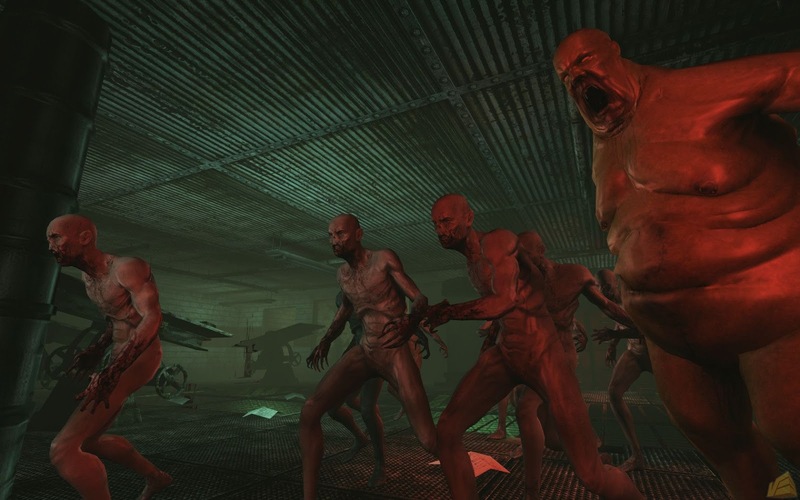 You and your teammates play as special forces sent to wipe out these specimens.This is really it, there is no real story or campaign in Killing Floor, it's is purely about the gameplay. Visually, the game is hardly a piece of eye candy compared to some of 2009's more visually appealing games such as Assassins' Creed 2 or Uncharted 2 and this can be attributed to its older game engine. The game uses a modified version of the Unreal Engine 2.5, an upgraded version of the engine that Unreal Tournament 2004 uses. This is because it was originally a mod, made in 2005, for Unreal Tournament 2004 and people who have played this game will see this right away with the way the menus and server browser are set out. Back when Killing Floor was a mod I would be fine with the fact it uses the same interface, however, four years after its initial release and now that it's a full game in it's own right I can't say I'm too impressed. The interface was obviously designed with 4:3 and lower resolution screens in mind, meaning the server list is extremely small and so it is difficult to pick a server on the larger, wider screens of today's standard. Even without the resolution trouble the menus still feel a little clunky and outdated. Killing Floor may not have the most appealing graphics but they can hardly be called "bad" and many of the newer released maps look more like Unreal Engine 3 than 2. And of course the advantage of using an older engine is that most people won't have to worry about the game running well. Any PC made in the past 3 or 4 years should be fine and to any that are worried the system specifications are shown at the foot of the store page on Steam. Animation and physics are overall pretty good, in first person the game feels very immersive with your gun's iron sights moving back and forth while moving and being thrown up from recoil while firing. Bodies of specimens are often eviscerated and will fly realistically backwards when killed, again adding to the feeling of power from your weapons. The third person animations are not quite as impressive with the running animation being a little strange and glitches where your allies aren't holding any weapons in spectator mode can be quite ridiculous. Some of the particle effects such as the fire are a little dodgy with flame trails appearing directly behind creatures on fire instead of around them. However other effects such as the smoky laser rave room in the "Bedlam" map (shown above) are pretty cool and the build up of smoke from explosions can be quite scary if you don't know where the enemies are coming from. The dark and gritty metal soundtrack fits in well with the graphics and presentation and the sound effects are absolutely excellent especially from firing guns. The specimen sound effects can be pretty terrifying: with the strange hissing noises of the "Crawlers" to the Skrake's menacing chainsaw revving and laughter. The Patriarch himself even speaks to you, with both taunts and insults that will be sure to infuriate you both before and after he inevitably kills you. People often complain about the voice acting in this game but I personally like it a lot. The voice commands and various "reloading" and "medic" shouts are voiced by only two people: the Vice President of Tripwire and a retired British policeman. Both of the voices share the trait of being having a strong London accent and will often quote famous British films and TV shows such as "You're only supposed to blow the bloody doors off!" and "loadsamoney!" to much amusement. When the game was first released you'd be forgiven for thinking there weren't enough maps because, well, there just weren't. Only five maps came with the original package and at £15 this may seem a little unfair. However since then new maps have been constantly added in updates and events along with new skins for your character that you can buy as cheap downloadable content and some that can be achieved by completing difficult achievements during the various events such as the Santa Clause skin and the chicken suit skin from the Christmas event and Halloween event respectively. As of writing this review there are 21 official maps out all of which are very varied especially the event ones like the Santa Clause lair, the carnival and even an Aperture Science map released during the Potato Sack deal. None of these maps cost even a single penny to acquire (a practice I wish more developers and publishers would use) which means Killing Floor is great bang for your buck especially if you bought when it was on sale (which it frequently is). A plethora of community-made maps have been created, some being rather excellent (such as the DOOMed map) and many others being pretty abysmal. Many servers often have custom weapons and textures and again these can be pretty hit or miss but it is always nice to get new content for free. The actual community it self is probably one of my favourite online communities around, almost everyone I have met in games or in Killing Floor Steam groups has been very helpful and considerate and wouldn't call you a "noob" for asking for advice or help. If you are struggling to survive waves instead of players vote-kicking or insulting you they will most likely give you advice on how to improve which is very welcoming for new players especially when the game itself has quite a steep difficulty curve. The brilliant community is probably one of the main reasons I just keep coming back to Killing Floor compared to other online games because I just always have a more enjoyable experience with the other players. 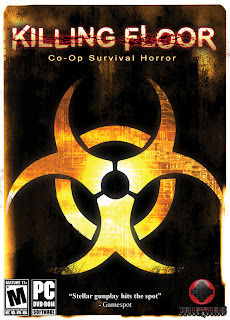 I would 100% recommend this game to fans of shooters, horror, and team-based multiplayer, really anyone who plays video games a lot. It is a little difficult to get in to at first and it's a little rough around the edges but once you've sunk around 10-15 hours you'll be hooked. If you're still unsure then wait for a sale or a free weekend and try and play it with some friends. Unlike most smaller/indie projects it's not trying to be overly creative or artsy it's just good at what it wants to be; pure simple fun! I like your blog performance ..Your blog is providing outstanding performance in internet marketing field.Great .Keep it up. Feature: How did we live without Smartphones? Gaming News: TMNT Rumours put to rest. RPG Maker: A tool for any budding games guy!